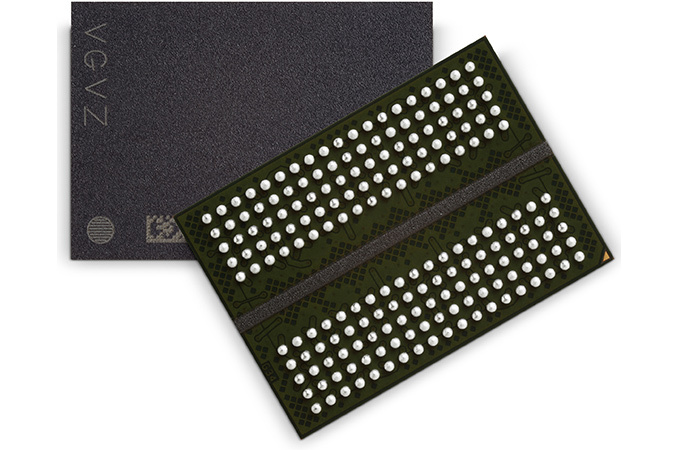 Micron Technology this week confirmed that it had begun mass production of GDDR5X memory. As revealed last week, the first graphics card to use the new type of graphics DRAM will be NVIDIA’s upcoming GeForce GTX 1080 graphics adapter powered by the company’s new high-performance GPU based on its Pascal architecture. Micron’s first production GDDR5X chips (or, how NVIDIA calls them, G5X) will operate at 10 Gbps and will enable memory bandwidth of up to 320 GB/s for the GeForce GTX 1080, which is only a little less than the memory bandwidth of NVIDIA’s much wider memory bus equipped (and current-gen flagship) GeForce GTX Titan X/980 Ti. NVIDIA’s GeForce GTX 1080 video cards are expected to hit the market on May 27, 2016, and presumably Micron has been helping NVIDIA stockpile memory chips for a launch for some time now. Est. VRAM Power Consumption ~20 W ? ~31.5 W ~20 W ? Earlier this year Micron began to sample GDDR5X chips rated to operate at 10 Gb/s, 11 Gb/s and 12 Gb/s in quad data rate (QDR) mode with 16n prefetch. However, it looks like NVIDIA decided to be conservative and only run the chips at the minimum frequency. 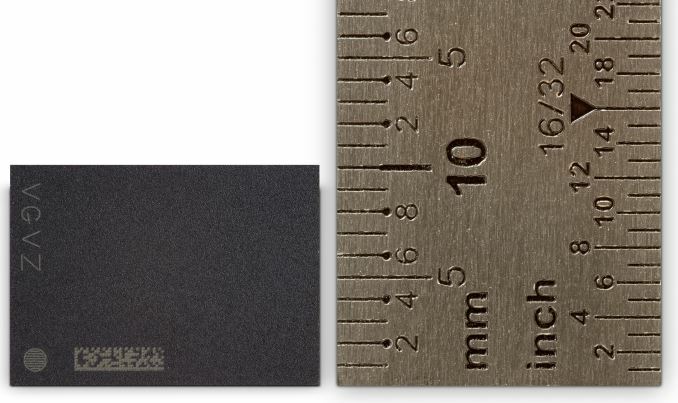 As reported, Micron’s first GDDR5X memory ICs (integrated circuits) feature 8 Gb (1 GB) capacity, sport 32-bit interface, use 1.35 V supply and I/O voltage as well as 1.8 V pump voltage (Vpp). The chips come in 190-ball BGA packages with 14×10 mm dimensions, so, they will take a little less space on graphics cards than GDDR5 ICs. The announcement by Micron indicates that the company will be the only supplier of GDDR5X memory for NVIDIA’s GeForce GTX 1080 graphics adapters, at least initially. Another important thing is that GDDR5X is real, it is mass produced now and it can indeed replace GDDR5 as a cost-efficient solution for gaming graphics cards. How affordable is GDDR5X? It should not be too expensive - particularly as it's designed as an alternative to more complex technologies such as HBM - but this early in the game it's definitely a premium product over tried and true (and widely available) GDDR5. They can couple the higher end of it, one card with HBM1, you do understand they still have HBM1, so if they have some card that goes for around $280-330 they could probably make it with HBM1. It'll probably be a Vega chip with HBM. Rumor has it that there are two version of (Vega 10/Vega 11). There seems to be enough space in the lineup for two chips, so the rumor at least makes sense. I've got no idea how accurate the naming might be, but given no solid information, I'll use these references for now. If the rumors are ture, it is possible that Vega 10 will be designed for HBM and Vega 11 will use GDDR5X (which would jive with casperes1996's assertion, though not with Polaris).